eCommerce has been on a steady growth over the years, and as technology grows the ease and comfort people enjoy using various devices keeps on getting better every day. Through these inventions, eCommerce is strategically being orchestrated to boost the comfort levels, this will enhance its growth and accelerated by the fact that people are addicted to shopping. Recent statistics from eMarket suggest a growth in digital buyers, the survey estimates that eCommerce sales will increase 23.2% in 2017, accounting for one-tenth of total retail sales, which will reach $22.737 trillion by the end of the year, up 5.8% from 2016. Looking at these figures, it is prudent to conclude that, the industry, albeit in its infancy stage, is poised for greater things. Over the years, there has been expressive need to develop a trust-based relationship between consumers and vendors. 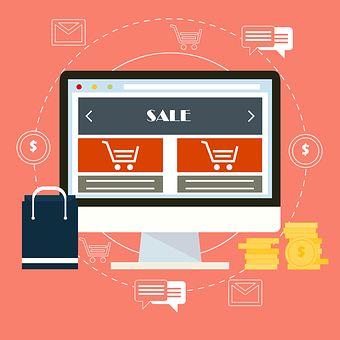 With many eCommerce platforms only interested more in the needs of the consumer, vendors have somehow been sidelined. This practice has resulted in the sale of physical commodities online being taken with a pinch of salt as the number of those who engage in this type of trade remaining low. With inventions such as The MILLIODS Ecosystem, E-Commerce is likely to grow at an unprecedented rate all over the globe despite the uncertainties. The Ecosystem will operate by use of virtual assets that are referred to as tokens, these tokens will be used to ease various e-transactions. It will be even become easier to discover and purchase products/services through online retailers and marketplaces.